But maintaining a nutritious diet isn’t that simple for most Americans. A recent study by the Centers for Disease Control and Prevention found that only 1 in 10 adults meet the federal recommendation to eat 5 servings of fruit and vegetables per day, and the low consumption goes beyond the preferences of the American palate. In fact, a common barrier to accessing fruit and vegetables is “food insecurity,” or the inability to afford enough food for an active, healthy life. This obstacle puts millions of Americans at greater risk for ongoing health conditions such as heart attack and stroke – particularly among low-income individuals. At a time when 7 of the top 10 leading causes of death in the United States are from chronic diseases, the CDC’s findings underscore a need to identify and address food insecurity. Permanente physicians are committed to addressing this problem for their patients and in the communities they serve. Interventions such as hunger screenings, clinician and patient education, and partnerships with community-based organizations that extend beyond the walls of traditional health care settings have made a marked difference in patient populations with potential for replication in other medical groups. Food insecurity is rarely an easy topic to discuss, but the conversation can be beneficial for patients, particularly those living with diabetes because they are more likely to be hospitalized. “If you know a patient is struggling with food insecurity and has diabetes, you are better able to manage their care by counseling on low-cost food choices, discussing lowering insulin doses when food access is inadequate, and connecting them to food and other social resources,” says Sandra Stenmark, MD, a recently retired Colorado Permanente Medical Group pediatrician. Children and teens are also an important population to screen. Northwest Permanente (NWP) physician leaders Joyce Liu, MD, and Jennifer Bass, MD, build strong relationships with their patients to establish trust and build a therapeutic relationship where, together, they can address health challenges. “I always ask for permission to talk about [food insecurity]. I’m surprised by how much patients share,” says Dr. Bass, a NWP pediatrician and quality lead for pediatric exercise and obesity. The conversation begins with a questionnaire that includes one validated question endorsed by the American Academy of Pediatrics regarding food insecurity. During an appointment, the patient or their parent fills out the questionnaire. The answers along with other standard information like health habits are gathered to help the physician prioritize what topics to discuss. Clinicians document hunger as a vital sign and other notes in the patient’s electronic medical record for follow-up, as appropriate. Kaiser Permanente care navigators help connect patients and families to community referrals and food resources. In Northern California, community resources have been integrated into the Pediatrics Department. Abhay Dandekar, MD, a pediatrician with The Permanente Medical Group, set out to address social determinants of health when he developed the Resident Education in Advocacy and Community Health (REACH) curriculum for the Kaiser Permanente Northern California Pediatric Residency Training Program. “We wanted to make sure doctors aren’t simply listing off resources in their office but actually understand the experience of going to a food bank or pantry,” says Dr. Dandekar. At least 95 percent of resident physicians in the program visited Alameda County Community Food Bank (ACCFB) or one of its mobile pantries from July 2016 to July 2018. By visiting resources like food pantries, Women, Infants, and Children (WIC) clinics, and homeless shelters, pediatrics residents are better informed about their patient population and where resources exist. I always ask for permission to talk about [food insecurity]. I’m surprised by how much patients share. Then Dr. Dandekar took things a step further. He and his colleagues partnered with ACCFB to set up a pilot program, setting up an information table in the Kaiser Permanente Oakland Medical Center’s cafeteria. Each month, a food bank representative is available with an outreach worker to help people sign up for electronic benefit transfer (EBT) and Supplemental Nutrition Assistance Program (SNAP, or “CalFresh” in California) benefits. They also direct people to tools helpful to patients and families, like the CalFresh website. For physicians at Colorado Permanente Medical Group, community partnerships have reinforced their effectiveness in treating food-insecure patients. 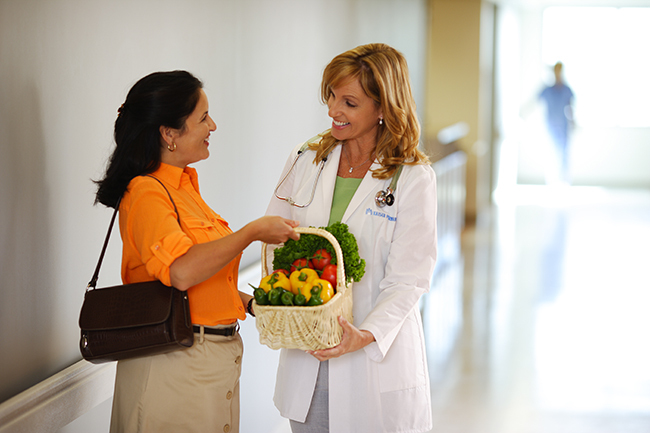 Upon identifying a member’s food insecurity, the doctor will send a referral to the community navigation team. Community specialists help “connect the dots” by sending referrals to Hunger Free Colorado, a statewide nonprofit that links individuals and families to food resources. Hunger Free Colorado helps members enroll in all eligible programs, such as WIC and SNAP. If the member is not eligible, he or she is directed to local food pantries. The organization reports back to Kaiser Permanente Colorado with a list of members referred, SNAP applications, and enrollment numbers. In 2017, Kaiser Permanente Colorado referred 1,600 households to Hunger Free Colorado, which then enrolled 103 of those in SNAP. Dr. Stenmark says that is a low percentage but working with Hunger Free Colorado allowed her care team to see what needed to be done as a next step. “Obtaining enrollment data is key to ongoing process improvements with Hunger Free Colorado and other resources like WIC for pregnant women and households with children under 5 years old,” she says. Ultimately, connection is the key. Often, a patient only admits food insecurity after the physician establishes trust, so it’s important to build a strong relationship. “That’s where the empathy piece comes in,” Dr. Dandekar says.